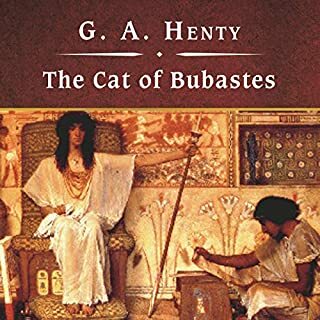 The sacred cat of Bubastes has accidentally been slain; now young Chebron must pay for the offense with his own life, as this is the law of the Pagans in Egypt, 1250 BC. Chebron, the son of a high Egyptian priest, flees for his life taking his sister Mysa, one of the household slaves Amuba, and several companions with him. 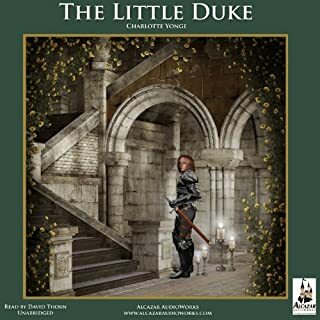 Based on historical fact, full of intrigue and chivalry at a time when Normandy was not part of France, this is the romantic childhood history of Richard the Fearless, Duke of Normandy. After his father was assassinated, when he was just nine years old, he is kidnapped and imprisoned by Louis of France, who wanted to annex Normandy. But thanks to the bravery and daring of Richard's loyal squire and knight, Osmond de Centeville, he makes good his escape. God did not mean for salvation to be a deep, complicated subject that man could not understand. But sometimes man's words confuse God's simple truths. D. L. Moody, one of the 19th century's greatest evangelists, shows how simple salvation is. 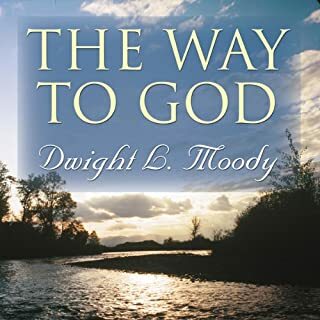 Avoiding heavy philosophy, he simply shows "the way to God." 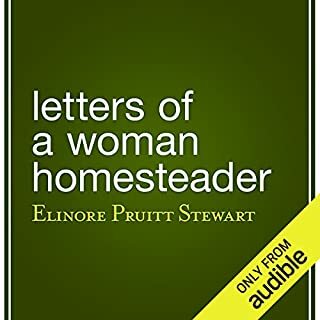 Letters of a Woman Homesteader is a frontier classic by Elinore Pruitt Stewart, a widowed young mother who accepted an offer to assist with a ranch in Wyoming. In Stewart's delightful collection of letters, she describes her homesteading experiences to her former employer, Mrs. Coney. Every woman in the US should read this book. 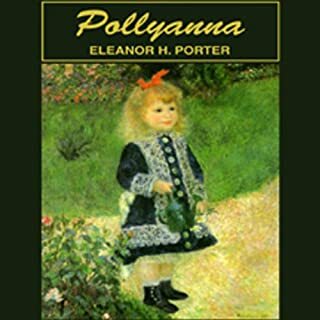 Pollyanna, an expert at her favorite "Glad Game" of always looking at the bright side in her numerous trials, is one of the most popular and enduring characters in all of children's literature. As Pollyanna arrives in Beldingsville to live with her strict and dutiful maiden aunt, she exclaims, "Oh, Aunt Polly, I don't know how to be glad enough that you let me come to live with you!" Here are 50 famous stories of long-ago times, retold in a short form for all young people. These are tales of valor, bravery, and kindness, as well as high adventure. Included are "The Story of William Tell", "Damon and Pythias", "Androclus and the Lion", "The Story of Robin Hood" and many more. King Arthur was a legendary British leader of the late fifth and early sixth century who, according to the medieval histories and romances, led the defense of the Romano-Celtic British against the Saxon invaders in the early sixth century. This book gives an account of the life of this great legend of all times. In this important book, G.K. Chesterton offers a remarkably perceptive analysis of social and moral issues, even more relevant today than in his own time. With a light, humorous tone but a deadly serious philosophy, he comments on errors in education, on feminism vs. true womanhood, on the importance of the child, and other issues, using incisive arguments against the trendsetters’ assaults on the common man and the family. Anne's own true love, Gilbert Blythe, is finally a doctor, and in the sunshine of the old orchard, among their dearest friends, they are about to speak their vows. Soon the happy couple will be bound for a new life together and their own dream house, on the misty purple shores of Four Winds Harbor. A new life means fresh problems to solve, fresh surprises. Compiled by American essayist, editor, critic, and lecturer Hamilton Wright Mabie, here is a fantastic collection of classic legends from ancient mythology, The classical work of Hawthorne has been generously drawn upon. Included are "Three Golden Apples"; "Pomegranate Seeds"; "Chimera"; "Golden Touch"; "Gorgon's Head"; "Dragon's Teeth"; "Miraculous Pitcher"; "Paradise of Children", and more. Here are 22 charming Japanese Fairy Tales, translated by Yei Theodora Ozaki, including "My Lord Bag of Rice", "The Tongue-Cut Sparrow", "The Story of Urashima Taro, the Fisher Lad", "The Farmer and the Badger", "The Shinansha, or the South Pointing Carriage", "The Adventures of Kintaro, the Golden Boy", "The Story of Princess Hase", "The Story of the Man Who Did Not Wish to Die", "The Bamboo-Cutter and the Moonchild", "The Mirror of Matsuyama", and more. Charles Sheldon's classic of popular religious literature exploded the centuries-old question "What Would Jesus Do?" into the American vernacular. A best seller in its day, In His Steps follows the denizens of a small town as they allow their pastor's admonition to imitate their savior in all their actions for a single year to slowly transform their lives. Folksy, optimistic, and quintessentially American, this inspirational tale, first published in 1896, is not only a classic novel of small-town Christianity, but a memorable portrait of America at the hopeful, prewar turn of the century. Accomplished audiobook narrator Nelson Runger brings a quaint, unmannered sunniness to this historic novel. Over 100 years ago, Reverend Charles Sheldon stepped up to the pulpit to deliver a sermon to his little flock of Congregationalists. Little did he know that his humble parable would evolve into a novel that would be published in 45 languages and affect the lives of at least 15 million people. A desperate, unemployed printer, looking for help in the mythical town of Raymond, is ignored until he’s on the verge of dying. His last words, as he collapses in front of a church congregation, point out the difference between believing in Christianity and actually living it. The death of the homeless man becomes the catalyst for a year-long pact. What happens when an entire congregation decides to stop before every decision and ask itself, “What would Jesus do?” In His Steps is a book about life. Few books, other than the Bible, have been so widely circulated. Since its first publication, this inspirational classic has never been out of print. Its simple message transcends literature, theology, and religion. The narrator was perfectly suited to the story, and conducted a wonderful performance. I was struck by how relevant this story still is, and how engrossed I got with it. You might think that the story would be dated, but the Christian experience transcends time, and the topics of suffering and faithfulness can easily be transferred to our lives today. I loved listening to the inspiration of the WWJD movement of my childhood, but it was more than that. The characters and lessons presented in this story truly helped me to put my Christian walk into perspective, and have spurred me into more conscious effort and ministry. I highly recommend this great little tale. i loved this book. great stories about the life transforming motto that should guide our very lives. everyone should read it. great narrator. I'm sad that it was over. A wonderful piece. I included a chapter a day as part of my bible study and worship. This is so good you will hang on to very word and you will be so blessed. This book radically changed my life as a young woman. It gave me direction and purpose. 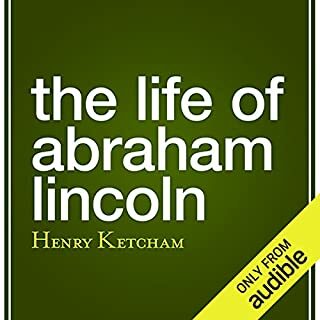 I enjoy the audible version and I listen often at night. Highly recommend this Christian classic to everyone. It is not preachy at all. You will enjoy it. I really enjoyed this book and being a Christian, it make's one think. The teaching are a good lesson. I love this book! Although it was written in the 1800's, the message is still applicable today. WWJD 2.0!!!!! awesome story, and a great challenge that would be beneficial within any society, whether you were religious or not. who better to model the standard off of than Jesus Christ himself. and we can do it by obeying the only command we must. the one command that covers all the rest, to follow him. drop all you know and follow in his steps. the truth, the light the way...there really is no other way to the father but through Jesus. this book does a great job at representing humanity through a handful of different individuals, with different talents, jobs, and stations in life, who try to ask themselves what jesus would do for an entire year, before every action they take, everyday. it's beautiful to watch how the spirit works, seeing it unfold as things slowly come together. how a small handful of members struggle in different ways to actually live a Christian lifestyle in a world, and even a church, who criticizes and ridicules them every chance they get...writing them off as fanatics, fools, or fakes. but it begins to spread like a wildfire as the entire town begins to change for the better because of the vow of a few individuals who honestly try following in Christ steps, wherever it may lead. ask, seek, and knock. doing all they can to know the lord. it's beautiful to see how each character grows, maturing in faith, and in the wisdom of God. beautiful story. If you could sum up In His Steps in three words, what would they be? So real, so true. Every practicing christian can easily identify with every word, every chapter of the book. I was completely immersed into the reality of the story like a new baptism. What does Nelson Runger bring to the story that you wouldn’t experience if you just read the book? Nelson makes the book, the story come alive. So theatrical I can literally hear each voice, so clear and perfectly paced, see each body language, and even create a full mental image of some of the characters. Boy, was I scared to 'stand' with the goodly Christians as they were confronted by the liquor and violence intoxicated mob of the rectangle! Strange Fellas. ( in the world but not of the world; definitely turning their community right side up). 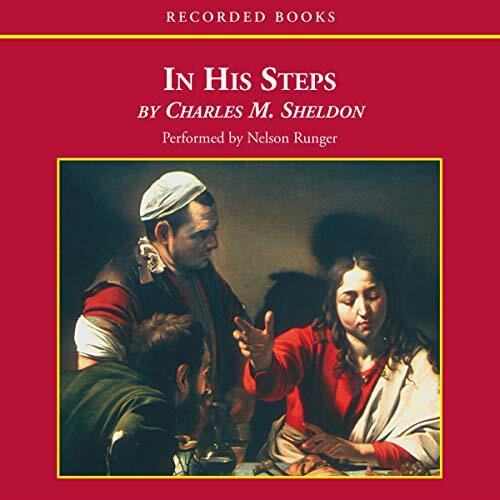 In His Steps is the third best book I have ever read after the bible and John Bunyan's Pilgrim's Progress. I strongly recommend it to all Christ's disciples.